Being on the shorter side, I wasn’t cut out for basketball or soccer in high school but one sport I attempted was rowing, of all things. I must have had a friend that rowed and I was intrigued, so one especially fine afternoon, he took me down to the Manila Boat Club, located on the banks of the Pasig. There, with a group of young lads, we were taught how to row shells and sculls – yes, in the Pasig River. Now, there’s more to rowing than one would think. You sit in this little seat on rollers that go back and forth as you twist a rather long oar up, then dip it into the water. It all has to be coordinated with the other rowers and you have a fellow up in front yelling at you to keep the cadence going. I felt like I was in a chain gang. My main concern was to not fall into the Pasig. That muddy green water looked suspicious. No, I didn’t make the team. I guess it was pre-ordained that I would be a nostalgia blog writer ! 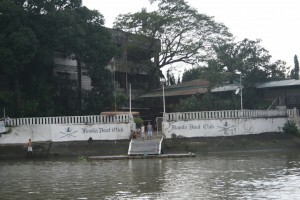 The Manila Boat Club, once affiliated with the Manila Club (aka the English Club) founded in 1873, was located on the northern bank of the Pasig just up-river from the Nagtahan Bridge. The club then moved to another location, being the Ynchausti Estate on M.H. Del Pilar. It was a spectacularly beautiful spot in Ermita on a stretch that would later become Dewey Boulevard, but of particular interest was that its members were well placed to observe the arrival of the Americans in 1898. 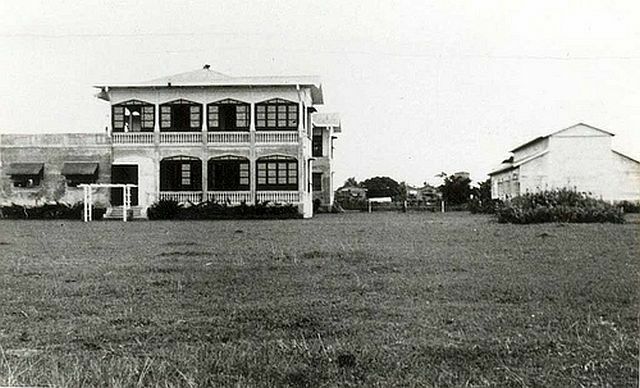 In 1932, a suitable location in the Santa Ana District on the Pasig River was found and a new building designed by William Parsons was constructed. When WW2 broke out in Asia, many of the members who were British ex-pats joined their army and went to Singapore leaving their wives and families who were interned by the occupying Japanese forces. 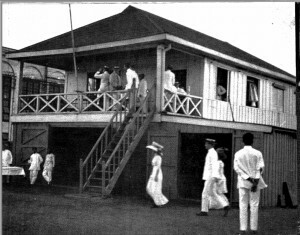 The Japanese Imperial Army took over the Club and used it as a lookout and radio post because of its good position on the Pasig. You can still see the holes in the floor of the Bar where cables from the radio station ran down to the generator located in the boat-shed. Allegedly, there was a tunnel from the Clubhouse to the banks of the river, which allowed the soldiers to man the machine gun post there without breaking cover in times of attack. Sadly, the Japanese soldiers in trying to use the boats, destroyed them likely by putting their feet through the fragile hulls; happily the Club itself survived. 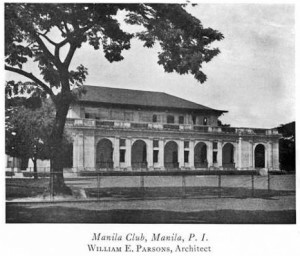 Famous throughout the first three quarters of the 20th century, the Manila Boat Club was a playground for rowing enthusiasts and squash players from around the world. Half the membership was expatriate until the middle of the Marcos era, when martial law moved into Metro Manila and so many businesses moved out. The remaining mostly Filipino membership, enthusiastic about squash but not so much about rowing, moved to other, newer sports clubs and the Manila Boat Club suffered a decline in membership until the dawn of the 21st century. However, newly revitalized with an influx of young Filipino and expatriate rowing enthusiasts, the Manila Boat Club is growing again. My family weren’t sailors nor yachtsmen. That was a life for another stratosphere but some of my friends’ fathers dabbled in that sport. I remember being a guest at the club and my friends would sign little chits for our meals and an occasional San Miguel as we watched the sails cross the bay. Everyone signed chits those days; at the Yacht Club, Polo Club – I wondered who paid them ? Among the clubs in which Americans were heavily represented in the colonial period before the war was the Yacht Club. 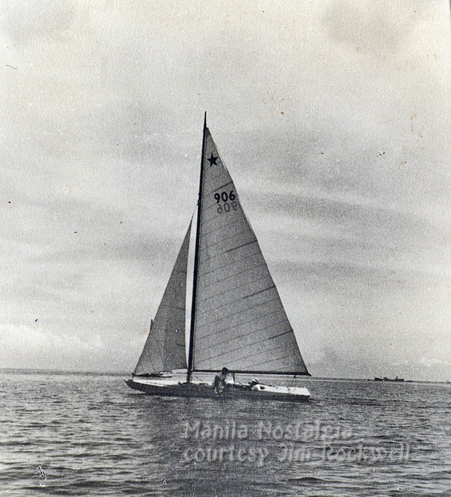 Despite the opportunities afforded by the vast expanse of Manila Bay, yachtsmen had been slow to organize a club. 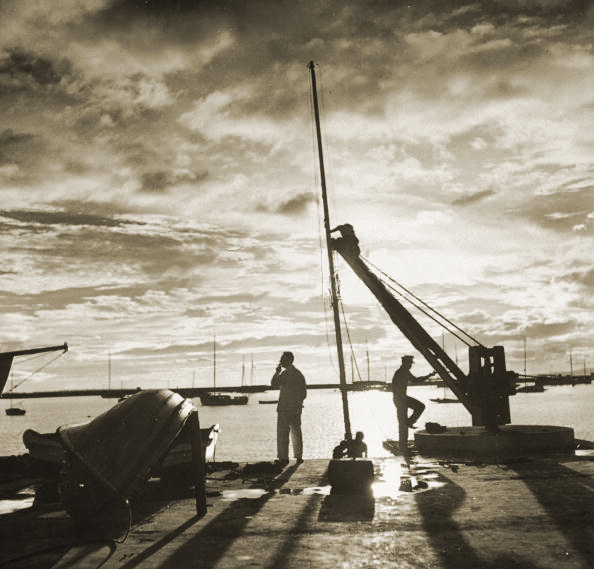 Boats required a considerable investment and there was no local boat-building industry. 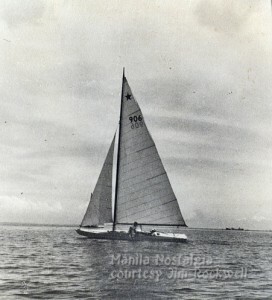 On January 20, 1927, five yachtsmen gathered at the old Polo Club, which was then situated beside Manila Bay. James C. Rockwell, Joseph A. Thomas, Aubrey P. Ames, Stewart A. Tait, and A. S. Heyward affixed their signatures on the by-laws document, making them the first new members. Sport sailing stopped in December 1941 when WWII erupted. The Americans confiscated the boats docked at the MYC basin for fear that the Japanese soldiers might use them to launch an attack on Corregidor. 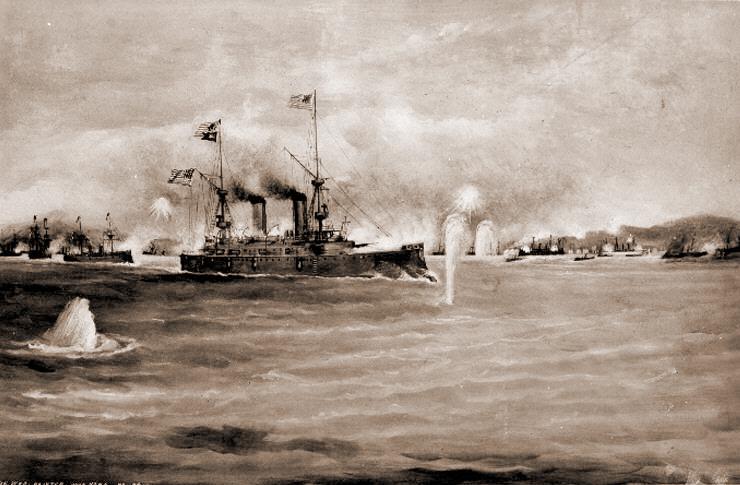 The boats were sunk and others were set on fire. Sailing then came to a complete close down from 1941 through 1945 when it was occupied by a Japanese Marine detachment. The US Army occupied the Club after liberation and in March 1947, MYC was able to secure the property where it stands today. 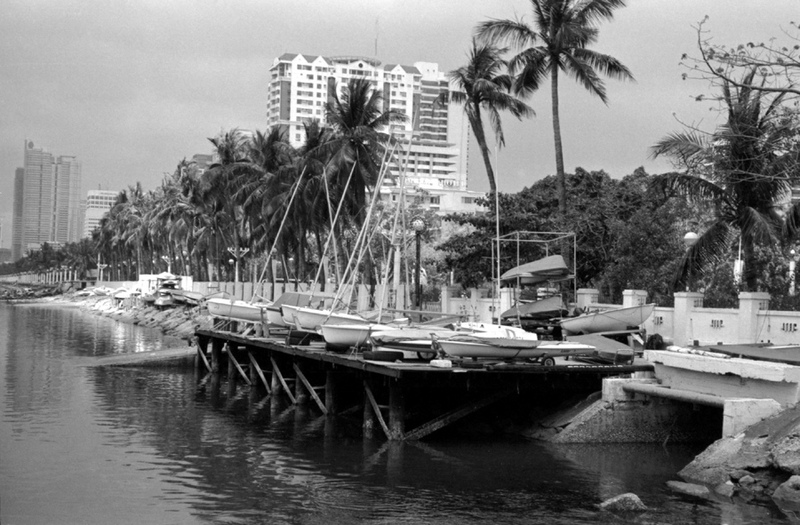 Manila Yacht Club is one of the many yachting hubs in Southeast Asia but is renowned worldwide. It is committed to the promotion of sailing as a sport. The club entices both sightseers and hobbyists to join them. They hold its racing season from September to May every year. James C. Rockwell can stand as the archetype of the successful pre-war American corporation executive. 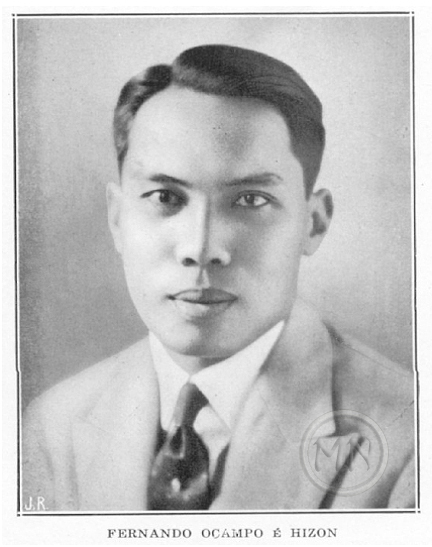 He arrived in Manila in 1911 to join Meralco, after working with electric power companies in New York and West Virginia. He served first as a street railway manager, and then, as the street railway department declined in importance, he became manager of the electric power department. In 1919, he was appointed vice-President and in 1939 became President. He was a handsome, convivial and athletic man but his significant qualities were a hard-boiled aggressiveness and an aversion for mincing words. Nonetheless, in those days of stratified business and personal relationships, he was both liked and respected for his fair dealings, his candor and his willingness to reward talent and achievement. 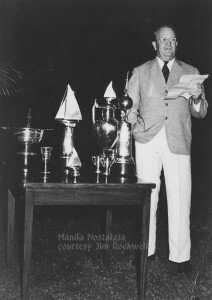 A very active man, he was a prominent member and official of the Manila Golf Club, the Polo Club, and the Yacht Club, of which he was Commodore in 1938. He was also one of the organizers of the Manila Rotary Club. 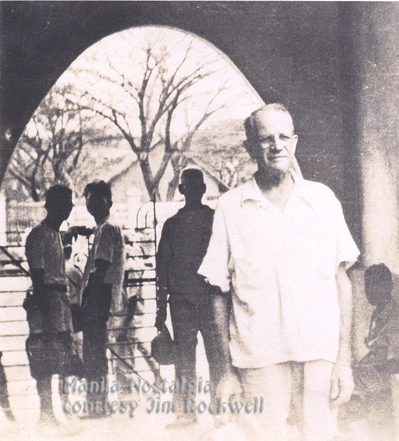 Interned by the Japanese after seven months forced labor at the Meralco plant, Rockwell’s health suffered badly. The photo below was taken just days after his liberation from Santo Tomas Internment Camp. However, along with his chief associates at Meralco, he worked hard to restore the badly crippled company to operation. 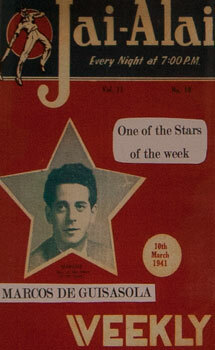 He returned to the United States in 1949, becoming chairman of the Board in that year and served until 1952. A few months ago, one of my readers mentioned this restaurant and the colorful character that owned it. That prompted me to do a bit of research and discovered an amazing story of Manila and Shanghai replete with adventures that recalled “Casablanca” days. So, thanks dear reader for that tip. Here’s Whitey Smith’s story. Back in the Fifties and Sixties along Isaac Peral (United Nations Avenue), in Ermita near the Hilton Hotel, was a favorite restaurant to many people called Town’s Tavern. Owned by a former bandleader, Whitey Smith and his Russian wife, Helen ran one of the finest restaurants in Manila, known for the most flavorful, tender steaks. Whitey was a “jazz” band leader/con artist/ex-boxer, who went to Shanghai from Oakland in the early 1920s. On the walls of his club were pictures of Whitey with such notables as Chang Kai-Shek, Madam Chang, Jack Dempsey, Fletcher Henderson, Pearl S. Buck who remarked that, “Whitey had brought more good will to China than many an ambassador. He had taught China how to dance !”. Whitey and his Majestic Hotel Orchestra even played at Chang Kai-Shek’s wedding in 1927. Whitey and several incarnations of his band played in China until the Japanese took over Shanghai. Wanting to flee the city, Whitey and Helen took the offer from the American consul of going to Manila or San Francisco when the Americans were evacuated from Shanghai. They arrived in Manila broke but as luck would have it, Whitey was approached by Mathias Kraut who was a stained glass artist and whose works were selected for the Metropolitan Theater. Kraut offered him a stake in a restaurant bar in the Metropolitan called the Metro Garden. 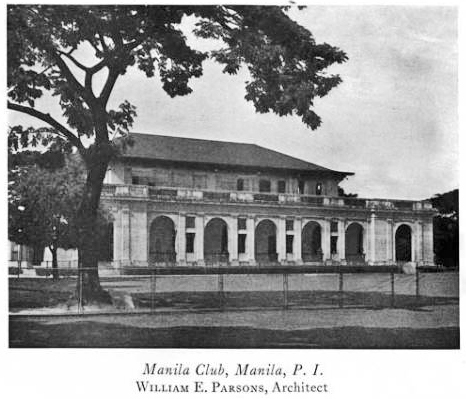 Whitey took over the club, which became highly successful, catering to the free-spending military that abounded Manila just before war broke out but, knowing things would get worse before they got better, Helen and Whitey drove up to Mt. Makiling and buried about $20,000 worth of diamonds under a bamboo tree. Unfortunately, they were both rounded up when the Japanese occupied Manila and were promptly interned for the next 3 1/2 years at the Santo Tomas Internment Camp until they were liberated in 1945. Ever the entrepreneur, Whitey came out of camp with no money but remembered his “savings account” under that bamboo tree. After many days of searching, they found it, using the funds to survive and managed to open a new club called “Old Mansion” which was again highly successful. He eventually sold it and later opened Town’s Tavern in Ermita. Besides the food and decor, the big attractions at Town’s Tavern at the time were his old friend, Tom Pritchard of Tom’s Dixie Kitchen, Jerry, the piano player, Whitey’s wife Helen, the interesting and sometimes unusual clientele and, of course Whitey himself. As with other familiar and fondly remembered landmarks, Town’s Tavern is gone and with it, another small part of Manila’s history. Whitey wrote his autobiography in 1956 called, “I Didn’t Make A Million”. It’s out of print but if you can find it, it’s a fun read ! In 1945 while Manila was still recovering at the end of the war, a Spanish pelotari (jai-alai player) decided to open a restaurant at the southern end of Dewey Boulevard. His name was Marcos de Guisasola, and he longed for the home-cooked dishes of his home country. 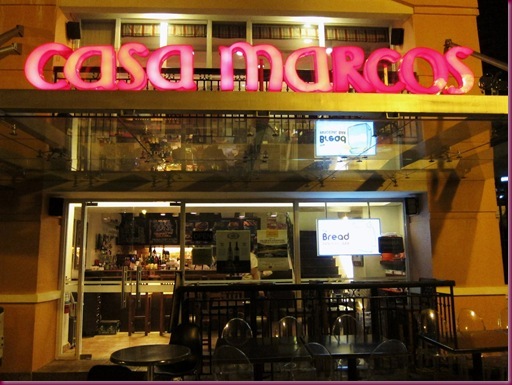 He rented two empty houses near Baclaran beach and named his restaurant Casa Marcos, the House of Marcos. In his home region in Spain, it was the men who did most of the cooking. Señor Marcos certainly knew his way around the kitchen and the recipes he knew by heart, for they were his favorite dishes. He created dishes like gambas al ajillo (shrimp in olive oil and garlic), almejas (baked clams), and steaks when he could find nice cuts in the market, which he called Steak a la Pobre (poor man’s steak). Whether rich or poor, customers flocked to his restaurant and he even expanded his menu to include breakfast and Filipino dishes. But it was his authentic Spanish dishes that won the hearts and palates of many Manileños who sorely missed Castillian cuisine during the war years. 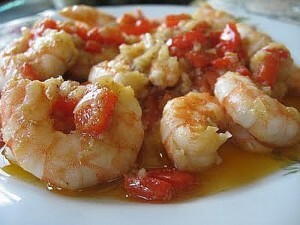 His signature dish was the most simple one, gambas al ajillo, shrimps sauted in olive oil with LOTS of garlic. It was always served with warm home-made pugon pan de sal baked in a woodfired oven. It was a classic tapa. In the old days that side of Dewey Boulevard where Casa Marcos was located was mostly dark, unlike the northern end. You could sit outside on the veranda by the sea where the lights of the boulevard faded into the distance, or you could dine inside in the dining room if the mosquitoes bothered your date. When Señor Marcos had to return to Spain he decided to sell his restaurant to one of his patrons and close friend, Ben del Rosario, former GSIS executive. 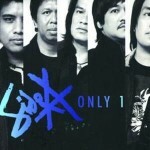 Ben opened a branch in Quezon City but eventually had to close down in 2000. For once, a landmark of the old Manila we knew has come back to us. In a different location, yes, but still the same menu. Good restaurants never die; it’s only the not so good ones that fade away. 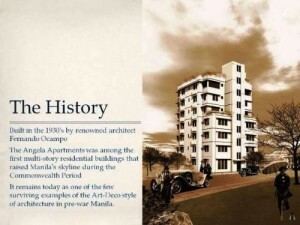 In the mid 1930s, as more American and Spanish families settled in the graceful and tree-lined neighborhoods of the Ermita / Malate districts, the rise of real estate prices was inevitable so the trend was to favor multiple dwellings such as duplexes and apartments. One of these was “The Admiral”, designed by Fernando Ocampo and built by Doña Ana Lopez on Dewey Boulevard at Cortabitarte. The tallest building at the time, it had 8 floors and an air of quiet elegance with definite Spanish touches in the design of the façade. The apartments were pleasant enough; the individual rooms spacious, airy and bright; and for those lucky enough to have windows facing the Bay, were graced with a magnificent view of brilliant Manila sunsets. This Spanish feeling became more pronounced in the reception room that opened directly on a side street. Both the furniture and metal chandeliers reflected a Spanish Gothic style, rather forbidding in its formality. Another room called, “The Coconut Grove”, was decorated with a life-like coconut tree with green light bulbs for fruit. A small, private dining room called the “Blue Room” was done in royal blue, old rose, crystal, and silver. It was here that Claire Booth Luce, U.S. Ambassador to Italy, was honored at a party. The largest public room was called “The Malayan Court”, due to the strong Malayan motif accented with a mural painting by Antonio Dumlao. 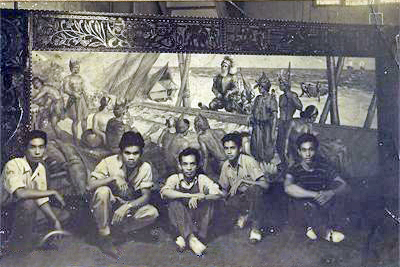 Dumlao and his assistants are shown below with the mural. The huge French windows opened directly on a flagged terrace facing Dewey Boulevard and Manila Bay. This terrace was one of the few places were people could eat al fresco, protected by gay-colored umbrellas. 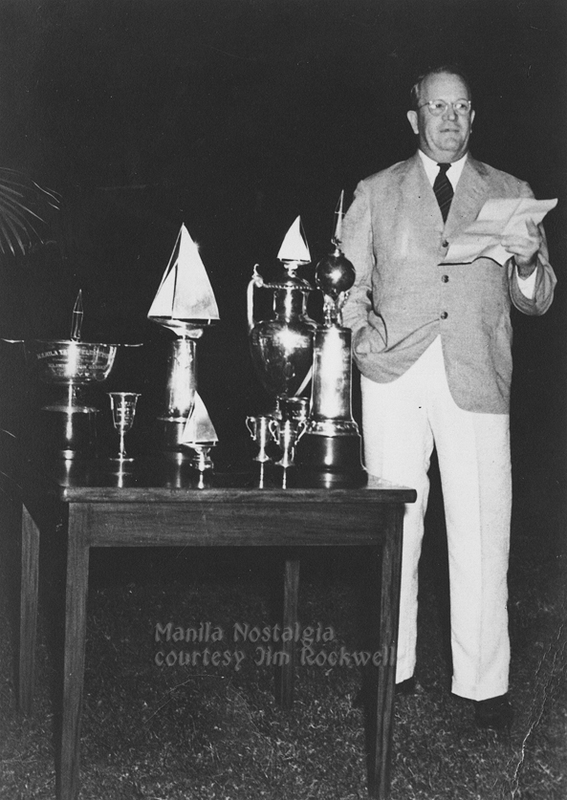 It was the ‘in’ place for Manila’s elite during the pre-war years, and hosted dignitaries like General Douglas McArthur and Lord Mountbatten, among others. It was heavily damaged during World War II but survived, a testament to its solid structure and foundation. 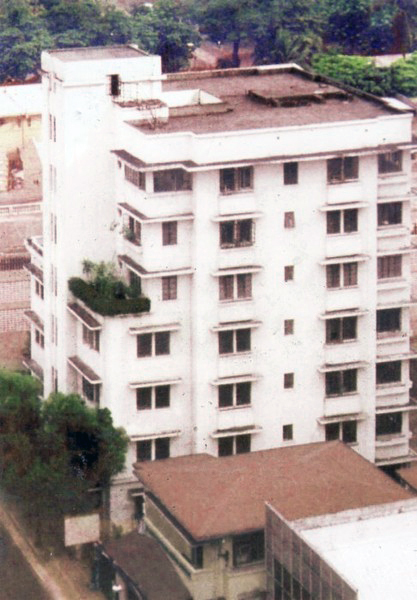 Prior to martial law, it was also home to the Manila Overseas Press Club. The Admiral Hotel quickly regained its esteemed position after the war, and continued to be an important landmark up to the 80s, until it was shuttered in the early 90s. It was acquired by Anchor Land Holdings and is restored to its former beauty. Thanks to Andrew Ma.Guerrero for this recent photo. It may seem at times that we reminisce about some of the art deco architecture that has been lost due to the lack of vision or foresight of city planners or developers but every once in a while I see evidence of some efforts of restoration or revitalization, e.g. Luneta Hotel, Escolta Project and, just lately, the Angela Apartments. 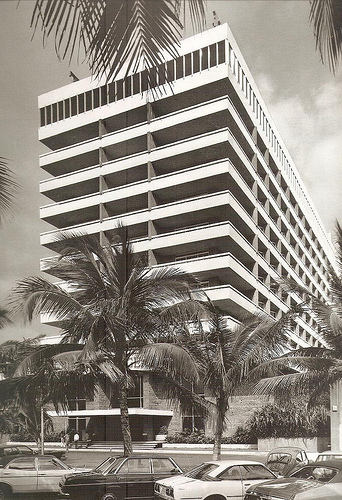 Designed by Fernando Ocampo in the 1930s, this historic building is one of the first high-rises built, along with the Admiral Apartments. 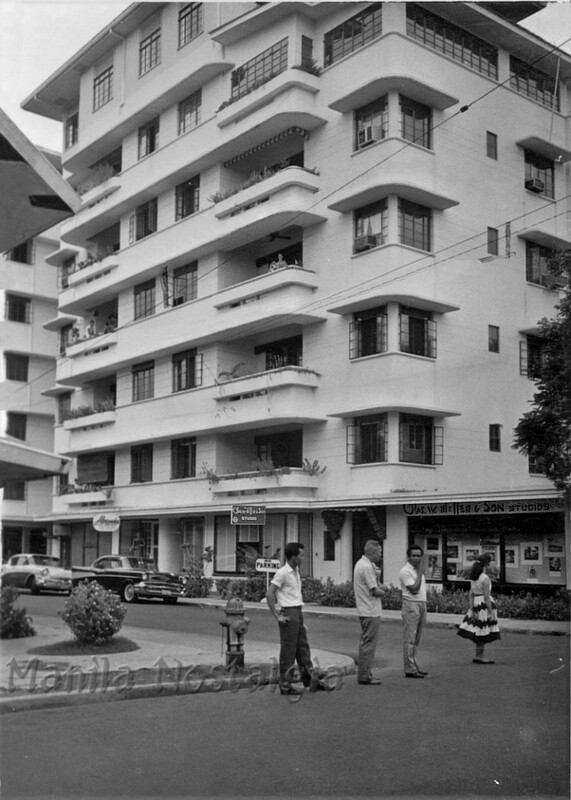 Its sleek, streamlined design — characterized by the play of horizontal lines of concrete in its facade, the smooth curves and nautical accents of porthole windows running down the length of its edifice, all reminiscent of ocean liners — captures the Art Deco mode that swept the city significantly during the country’s shift from being an American colony to being the Philippine Commonwealth. A few posts ago, I mentioned that I had gone to St. Paul’s College for kindergarten. One of my classmates then and who continued with me all the way through high school at the American School, was my old buddy, Victor Lopez. I knew his family owned the Elena Apartments and asked him about it. “My father Vicente V. Lopez and his first wife, Elena Hofilena Lopez, built this building back around 1936, the architect was Juan Nakpil, who had a house nearby until it became a Sony Electrical Building. 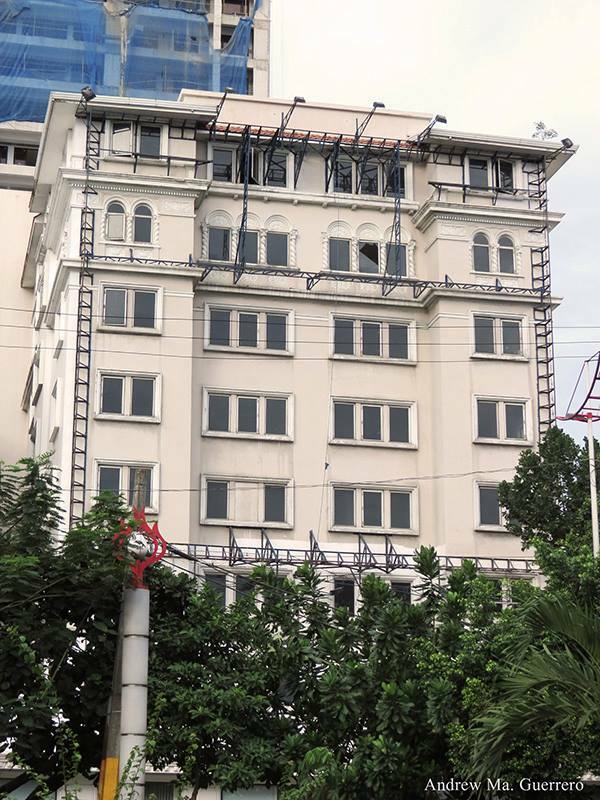 It had around 44 apartments and originally had only six stories until they added one more story with two units of large apartments, they became units of embassies, and then of architectural or official government offices, finally ending as private penthouses. It was on Romero Salas street and each side was on A. Mabini and M. Adriatico. This is a very nice photo looking at the Mabini side of the building on R. Salas St., its main entrance.” Thanks to Herb Hendry for sending in this photo. I noticed photographer Chas Miller’s studio is on the ground floor. Chas Miller did a lot of our class photographs. The Elena was demolished in October 2010. Another landmark gone. 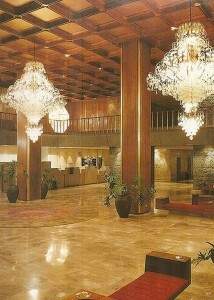 In the 70s and 80s, as visitors flew in to the International Airport and were taken along Roxas Boulevard, the sight of one of the first commercial buildings to greet them would be the modern, medium-rise structure of the Hyatt Regency Hotel, at the corner of EDSA Extension and Roxas Boulevard. It was the first of the Hyatt branded hotels in the Philippines, and the forerunner of several large Hyatt projects now being developed in Manila. 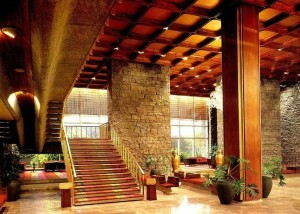 Originally constructed in 1967 as the Savoy, the Hyatt Regency Hotel was designed and built by Leandro V. Locsin, one of, if not the foremost Filipino architect of postwar modernism in Philippine architectural styles. When you walked into the Hyatt’s spacious lobby, you could immediately see his aesthetic genius for combining various materials into one extravagant artistic work. You would see crystal chandeliers that graced the ceiling, panels of native capiz shells and original Amorsolo paintings that adorned the walls, and an elegant stairway that led to an atrium. This incorporation of traditional features with modern architectural forms was an expression of Locsin’s basic style; to create a harmonious synthesis of Western and Eastern cultures. For Locsin was not only an architect, he was an artist, a musician, as well as a gifted interior designer. His works were prolific, ranging from beach houses to churches and chapels, to theaters and golf clubs, commercial buildings such as the Philippine Plaza Hotel, and even the Ayala Avenue pedestrian underpass; designing 170 structures over three decades. But his architectural masterpiece would have to be the unique Theater of Performing Arts (now the Tanghalang Pambansa) of the Cultural Center of the Philippines. Multi-skilled, multi-talented, and multi-awarded, Leandro V. Locsin was proclaimed National Artist of the Philippines for Architecture in 1990 by President Corazon Aquino, in addition to winning the Arts and Culture Prize of the Fukuoka Asian Cultural Prizes. It was a worthy recognition of his contribution to the advancement and achievements of Asian architectural culture. 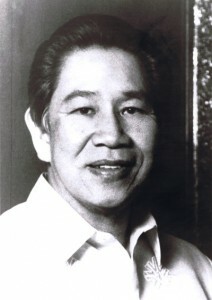 Locsin died in 1994 at the age of 66. 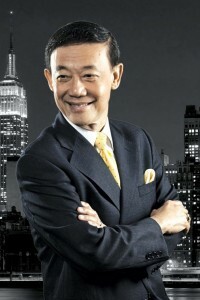 During its heyday, the Hyatt Regency’s owners, Hotels Enterprises of the Philippines, Inc., of which Jose Mari Chan (yes, the songwriter-singer) was president, made deals with international airlines in which passengers who flew on United and Qantas to Manila could get four days of free accommodation at the hotel. I was one of the lucky ones who took advantage of this opportunity several times. I thoroughly enjoyed my stays and explored the many features of the hotel. First, there was the Tempura Misono restaurant, an all-you-can-eat dining institution catering to all Japanese food lovers (myself included). It featured a daily teppanyaki buffet, and I still remember their light and crispy prawn tempuras. Then, there was the Cafe Al Fresco and Delicatessen, where one could wash away the previous night’s binge with a cup of black Batangas coffee. Cappuccinos were not yet fashionable then; lunch was available here beside the pool. But it was at night when Manila’s coolest people rocked at the Hyatt Regency’s basement Circuit Disco or cuddled to the music at the Calesa Bar where the Side A band and exotic songbirds presided. It was here that Janet Basco sprouted her musical wings, Regina Velasquez sang here, and of course, this was where Liza Chan sang with her dad, the celebrated singer-composer Jose Mari Chan. It was the city’s favorite entertainment venue where Manila’s Beautiful People met and mingled. This storied hotel hosted glitterati and celebrities such as heiresses Gloria Vanderbilt and Christina Ford, prima ballerina Dame Margot Fonteyn, statesmen Harry Kissinger and Gerald Ford, and from Hollywood, Burt Reynolds and rocker Tina Turner. Those were the lovely days and nights of the 70s and 80s. They’re now gone, vanished with the Hyatt Regency Hotel in Pasay. Only their beloved memories and melodies still linger in my Memory Book. As one of Jose Mari Chan’s song goes, “It’s a Love to Last a Lifetime”. Formally known as the National Shrine of Our Mother of Perpetual Help, the Redemptorist Church is popularly called the Baclaran Church. It is considered as the most visited church in Asia. 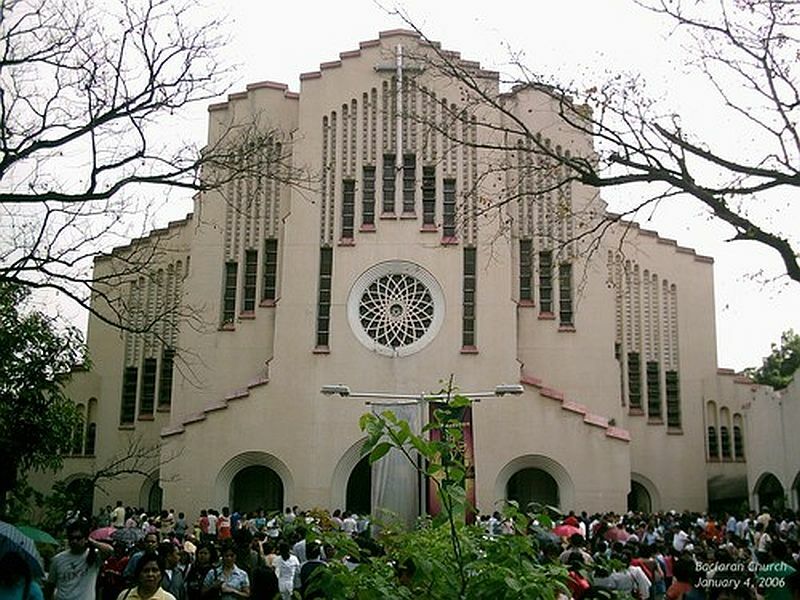 It houses the shrine of Our Mother of Perpetual Help and every Wednesday, the church’s novena day, approximately 10,000 people from around Metropolitan Manila attend mass to celebrate its tradition. In 1906, Redemptorists arrived in the Visayas to introduce the Mother of Perpetual Help. The original icon came from Germany, but was transported to Ireland, then brought to the Philippines. In Manila, the Redemptorists first settled into Malate Parish in 1913 and had a small but popular shrine to Our Mother of Perpetual Help there. When they transferred to Baclaran in 1932, the Ynchausti family who were old friends and benefactors from Malate, donated a beautiful high altar and insisted that it be a shrine of Our Mother of Perpetual Help. It took a while for the builder, Father Denis Grogan, to be persuaded, as he was devoted to Sta. 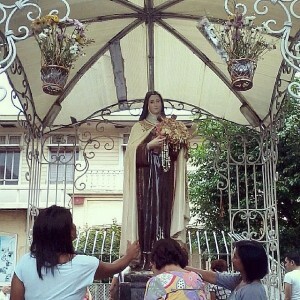 Teresita whom he made the patroness of both the church and the convento. Finally Fr. Grogan relented. The image of the Perpetual Help that is the focus of all eyes inside the massive church today is the gift of Mrs. Ynchausti, donated in 1931 to the people of the Philippines. Sta. 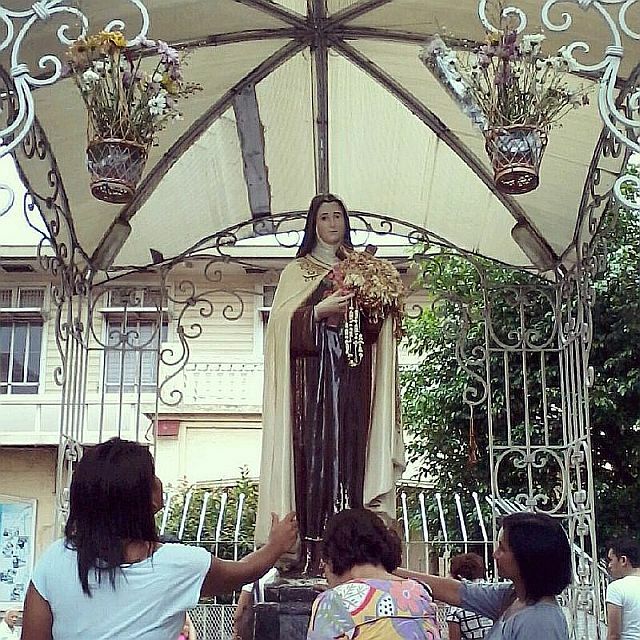 Teresita was displaced; her statue stands in the patio of the church surrounded by a fish pond. It is not the fish of the baklad, the fish traps that once dotted Manila Bay and from which Baclaran takes its name, that is collected here, but peso coins thrown by the people into the pond, which are used to finance the shrine’s outreach to the poor. Father Gerard O’Donnel became the first Rector in Baclaran on June 23, 1948, and on that Wednesday, Father Leo English conducted the first novena in the Baclaran Church. The church then had a 300-person capacity but only 70 people attended that day. Before the end of 1949, Wednesday became the official day of prayer for the Virgin of Perpetual Help, making it the novena day for the week. Slowly the faithful began to flock to the church and it became difficult to serve the devotees, but with the help of the community’s donations and gifts from senders of thanksgiving letters, the church was renovated to accommodate the growing congregation. 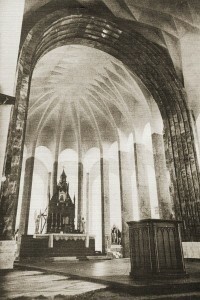 The church’s architecture is described as Modern Romanesque. Architect Cesar Concio and his associate, Jesse Bontoc, had planned a higher church with a bell tower but because of its proximity to the airport, Civil Aeronautic regulations prevented them from carrying out their plan in full. It does have a bell tower, but of lower height (More details of Cesar Concio may be seen in our article on Ermita Church). The shrine has many parts that are made with exquisite materials. The baldachin is the shrine’s centerpiece. The shrine, the tabernacle, the reredos and the sanctuary gates are made of Italian bronze. Its columns and capitals are made of giallo oro and Bottecino marble. The gracefully curving altar rails under the baldachin, the dome, the high altar, the predella and the steps are of white Carrara marble. The shrine’s columns are made of black Belgium marble, Moroccan onyx and Venetian mosaics. The foundation stone was laid by Cardinal Gilroy of Sydney on January 11, 1953. In January 1958, the Philippine hierarchy officially declared the Baclaran Church as the National Shrine of the Mother of Perpetual Help. 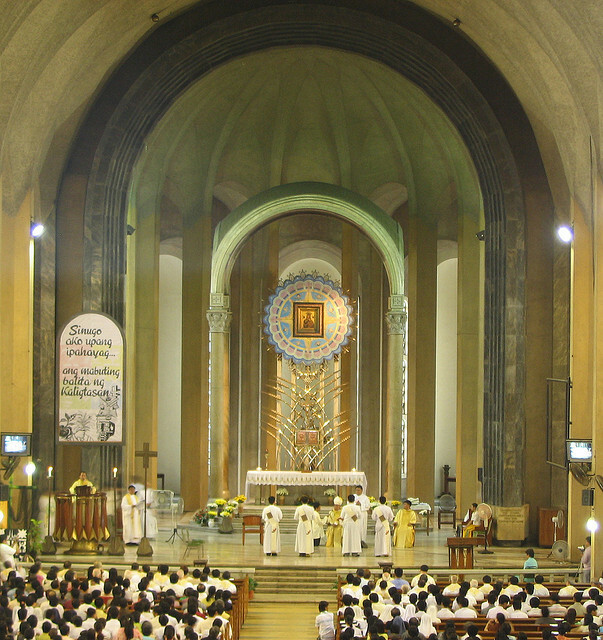 On December 1st, 1958, the completed church was solemnly consecrated by Archbishop Santos of Manila, assisted by Bishops Antiporda and Shanahan. The official opening ceremony was held on December 5, 1958. Archbishop Santos celebrated the Mass, assisted by Cardinal Agagianian and several other bishops. Since the day when the shrine was opened, it has never been closed, day or night, by authority of a Papal decree. 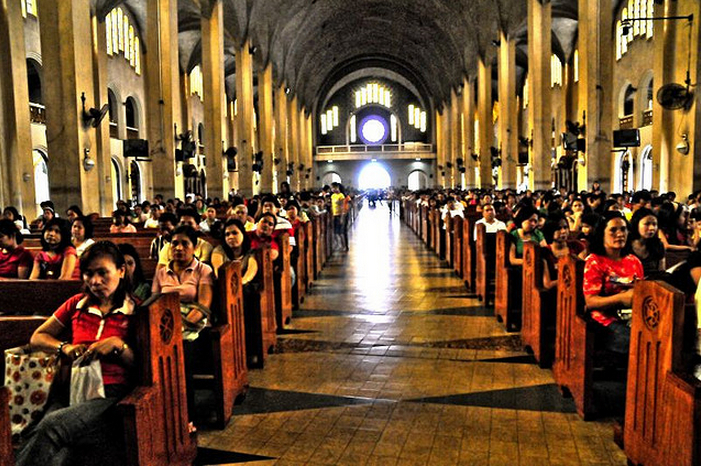 Baclaran Church can seat 2,000 individuals and can accommodate another 9,000 standing. Every Wednesday the faithful start coming in from four in the morning until midnight to pray the novena. The church is also considered to be “an important center of spiritual regeneration” because of the confessions that are heard almost every hour daily. Thank you my friends for visiting Manila Nostalgia. I hear from so many of you with your stories that remind me of Manila’s past. I love to get your comments and email so please continue to send them along with your wonderful stories and photos as I reminisce right along with you. Thanks also to many people that helped with this blog, my friends: Larry Ng, Herb Hendry, Lito Ligon, Andrew Guerrero, and Victor Lopez. Write me at: manilanostalgia@gmail.com or post a comment. Great stuff, Lou. Your posts bring back a lot of old memories. 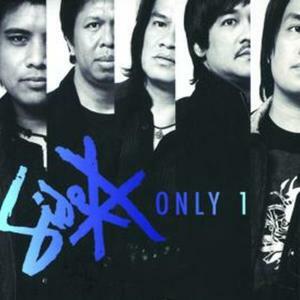 Among the other bands that played in the Calesa Bar was Bong Peñera and the Batucada, a proponent of bossanova music in the late 60s and 70s. I wonder whatever happened to him. Annie Brazil would join him once in a while, as did the daughter of the Brazilian embassador whose name espcapes me. Among the other night spots favored at the time was Meca Trapaga’s Patio Flamenco, Earl Carroll’s first house, down the street from the Hyatt on the corner of Del Pan and Roxas. His North Forbes house was a bigger replica of Patio. Fantastic! Have been following Manila Nostalgia since you started and have enjoyed every written line, every photograph, every anecdote. I grew up in Manila in the 50s and 60s and recall many of the places you mention. Casa Marcos in Baclaran was my father’s favourite restaurant. I always looked forward to having lengua estofada (braised ox tongue) which was one of their specialities; their baked clams weren’t bad either! We had family friends living at The Admiral who we often visited. Dewey Boulevard was a delightful place to drive, to cycle and to walk along the sea wall and rides on the blue Motorco were always such a treat! Ahhh…. 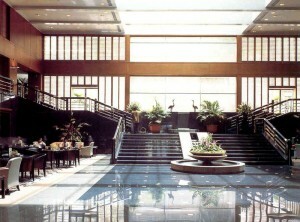 and the Hyatt Regency… that’s where I had my Junior-Senior Prom. Such fine memories indeed! Well done, Lou, please keep it coming! Lou, I have enjoyed reading all of your articles and many of them briung back many memories of my years in Manila! 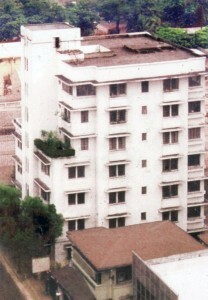 When my father was first transferred to Manila in the very early 1950’s, we lived in the Angela Aprtments on M.H. Del Pilar and seeing the pictures you posted brought back a flood of memories! 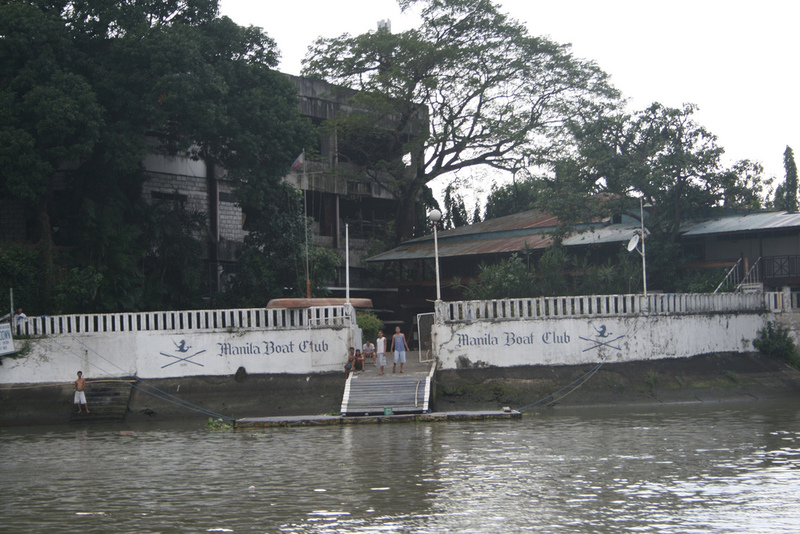 The Manila Boat Club also resonated with me as I did try our for the American School Rowing Team and do recall rowing (and hoping not to fall into) the malodorus Pasig River. I too did not make the team but remeber the exoerience very well! Your mention of the Casa Madrid also brought back many great memories as that was where we went to celebrate special occasions such as birthdays etc.. Somewhere I have pictures of me and my family dining there for my 16th birthday! If I can find them I will post them but I will never forget the great Paella the Madrid served! Thank you for all of your articles and for bringing back so many precious memories of the many happy years I spent with my family in Manila. In many ways I still consider it my home because my formative years were spent there. Thanks again Lou! Nice write up of Whitey Smith & his “Metro Garden (Bar & Grill)”. Back in the late 50’s to early 60’s, when my father ran the Luneta Motor Company and later founded Rose Industries, he used to take me to lunch at the Metro….The place was covered with autographed pictures of notables & celebrities…Cloth covered tables with excellent waiters. We usually joined a table full of his expat friends including Murray Otstott & others. Friendly group telling jokes & stories. We would start with a soup, then to the delicious entree. After dessert, a game of Liars Dice & then back to work……..I don’t know of any other places then & today that had that cozy atmosphere that the Metro had….. This is Jhaye Almuete, researcher for an upcoming lifestyle show (can’t yet give the details on when & where the show will be aired). 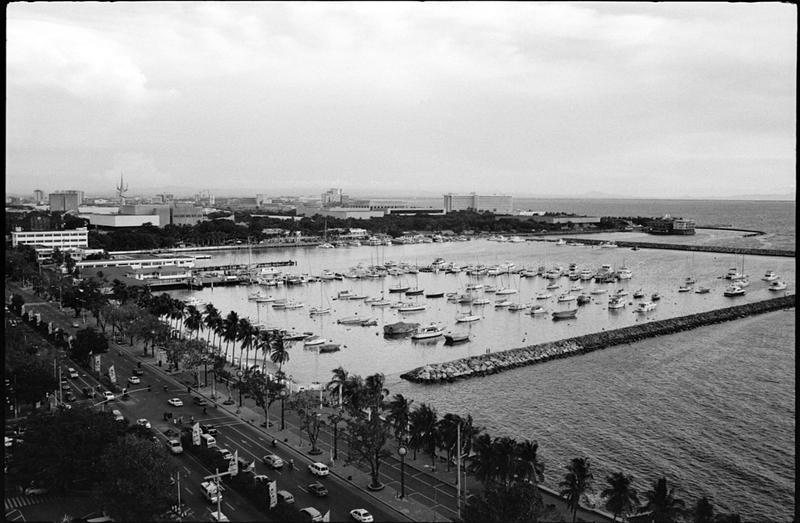 For our pilot episode, we will be featuring the Manila night scene from the 70s’, 80s’ and the present. The photos will be used as visual inserts for the show. Hope I could hear from you as soon as possible. It will be a huge help for our show. Thank you and good day. There are a number of chronological and factual wrinkles in Larry Ng’s brief on the Hyatt Regency Manila Hotel that need some ironing. For one thing, the ‘hey day’ of the Hyatt came way before the Chan’s got into the picture. They came during the last dismal days of that glorious hotel and try as they would, they did not succeed so much in making those days return. Let’s get this straight first, I like Jose Mari Chan and think of him with much admiration to the point that I feel he, himself, would wish to iron these wrinkles. All the points made seem to indicate that the beautiful things that happened in the Hyatt happened when Jose Mari Chan had taken it over, which is not true. I should know as I was the Executive Vice President of Hotel Enterprises of the Philippines (HEPI), the hotel’s owning company, when these beautiful things happened. I was connected with the Hyatt since the time it was being constructed, through the years it was first managed by Sheraton Hotels International and called Sheraton Philippines, which chain I fired for not living up to the owner’s expectations; through the years where I virtually managed the hotel as an independent operation and it operated as the Savoy Philippines; through the negotiations with Hyatt International Hotels that I conducted for it to subsequently manage the property, which it did for the longest period in the life of the hotel. I was with the hotel until a few years after I had worked out with GSIS Chairman June Cruz a plan for GSIS to take it over via a purchase of the stockholders’ shares at reappraised values rather than just simply foreclose it, which it could have done but which would have made many people unhappy. Our plan made all the shareholders and the GSIS happy as it eliminated the need for the complicated, time-consuming foreclosure procedures and everyone got most of their investments back. The deals with the various foreign airlines, other than the one Mr. Ng mentions, were all arranged during my time at which point all the stewardesses and flight crews of the airlines flying to Manila were billeted at the Hyatt. 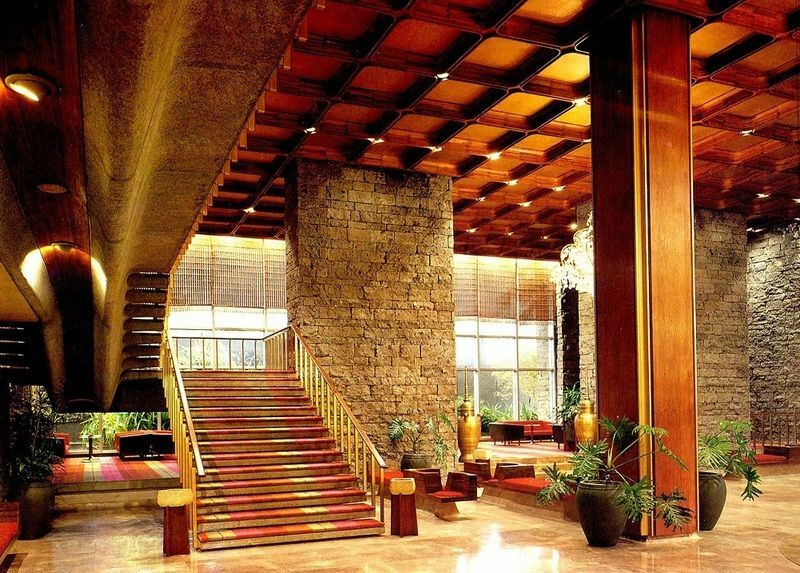 The only exception to this were the PanAm flight and cabin crews, who remained billeted at the Intercon Manila, the reason being that PanAm owned the Intercontinental hotel chain worldwide. The Calesa Bar, Tempura Misono and the basement Circuit Disco were at the peak of their popularity, and the engagement of new, starting female singers at the Calesa Bar was practiced long, before the takeover, which came after the many years when the hotel was owned by the GSIS. What is correct is that the hotel “was the city’s favorite entertainment venue where Manila’s Beautiful People met and mingled. This storied hotel hosted glitterati and celebrities such as heiresses Gloria Vanderbilt and Christina Ford, prima ballerina Dame Margot Fonteyn, statesmen Harry Kissinger and Gerald Ford, and from Hollywood, Burt Reynolds and rocker Tina Turner”, albeit I don’t remember Gerald Ford ever being a guest even while not mentioned were David Rockefeller and some of Hollywood’s biggest celebrities: Marlon Brando, Michael Caine, Clift Robertson (to whom I handed the telex, there was no fax or email yet, announcing that he had won the Oscar for Best Actor for his role in the movie ‘Charlie’, Anne Francis, James Shigeta, Francis Ford Coppola, Robert Aldrich and hundreds more. This, too, is absolutely correct: “Those were the lovely days and nights of the 70s and 80s. They’re now gone, vanished with the Hyatt Regency Hotel in Pasay.” Do note that Jose Mari took over the Hyatt in the very late 80s. Nice comments about Whitey. I was stationed at Sangley Point in Cavite in 1967-68 when I met a guy named Al Doherty who was a big fan of Whitey’s. He told me that Town’s Tavern was a place I should check out. He told me two things about the place. First, that Whitey never forgot a face and second, if you told Jerry a song that you liked he would never forget it. Of course, I thought it was an exaggeration. But I did check out. It was a friendly place. Whitey was always there and had always had a good story to tell. Jerry could indeed place songs with a face. Helen always seemed to be a little tipsy and would often break into Russian ballads. I met many people there that I would not have met if I had not otherwise met in Manila. I was there at a bout the time Whitey’s second book, Whitey of Shanghai came out. 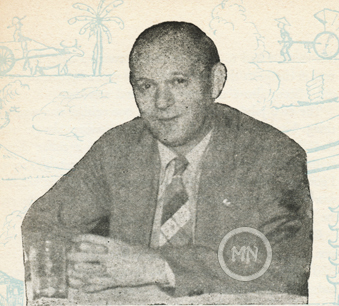 He published under the name Sven Eric. I think that is his real name. He signed a copy for me and I still have that and a signed copy of I Never Made a Million. As a sailor, I wasn’t an expat, but at Town’s Tavern you could always people who were. I left Manila in January of 1969 and I returned in May of 1970 on my way to a ship in the Tonkin Gulf. After a year and a half of being away, Whitey remembered me and said I had put on some weight and Jerry pulled out the song “Where or When” from his memory, that he associated with me. I was impressed. Great story Dave ! I’m going to have to find a copy of Whitey’s other book. You’ve got me interested in it. Thanks for sharing your memories of Whitey, Jerry, and Helen. Lou, I’ve thoroughly enjoyed all your articles and the great historical (and personal) photos. In the late 60’s, as a Marine, I first set foot in Manila when the USS Okinawa (LPH-3) docked there. I walked around the city in awe – not only awe of the bone deep local history, but I recall I found a stadium with a bronze plaque: “Babe Ruth played here in 192?” Walking along a tree-lined street, I spotted a large, one-story home topped by a big sign that read, “Whitey’s American”. Can’t explain why it wasn’t “Town’s Tavern”, but when my shipmate and I went inside to grab a San Miguel, we were soon joined by Whitey Smith. The place was all but deserted at that time of day and Whitey regaled us with tales of his jazz band in Shanghai before WWII. He told of how his band was on a specially-built hotel elevator that moved constantly amongst three floors of dance halls. He also told us how he and his White Russian wife had been imprisoned by the Japanese. It was an astounding encounter, but I was in Manila for the first time, so the meeting soon took a back seat to all the other wonders. A couple of years later, while I was stationed in South Carolina, a documentary TV show had as its theme, how jazz was introduced to China in the 1920’s. I almost fell out of my chair when they showed grainy footage of Whitey Smith’s Band – playing ON AN ELEVATOR as they traveled up and down between floors filled with dancing couples! I was subsequently stationed in the Marine Barracks, Philippines from ’72-’75, but I never located Whitey’s place again. Thanks for documenting the Admiral Apartments. You were one of the few sources where I could find deeper information. Really sad to see it go under the wrecking ball. Enjoyed reading all the comments.I was in college in Manila in the very early 60’s and dined at Town Taverns many times and got my copy of Whitey’s first book autographed although I can’t find it now fifty or so years later. During the war Japanese sailors used to come ashore at the yacht club from their ships in the bay. My friends and I would buy cigarettes from them and then sell them to the sari sari stores. In 1944 they built a ramp there and would bring planes ashore which they would then fly off from Dewey Blvd. They had removed the center island south from the Yacht Club. Both the Admiral and Elena apartments had large fused bombs in their basements so that the buildings could be destroyed. Fortunately whoever was supposed to set them off never came. I was researching about this Elena Apartment for a while now but I couldn’t find any until I found this, just in case, maybe you have any information about the underground movement members that were arrested by the Japanese at Elena Apartment on February 5, 1944 or do you know someone you can refer?